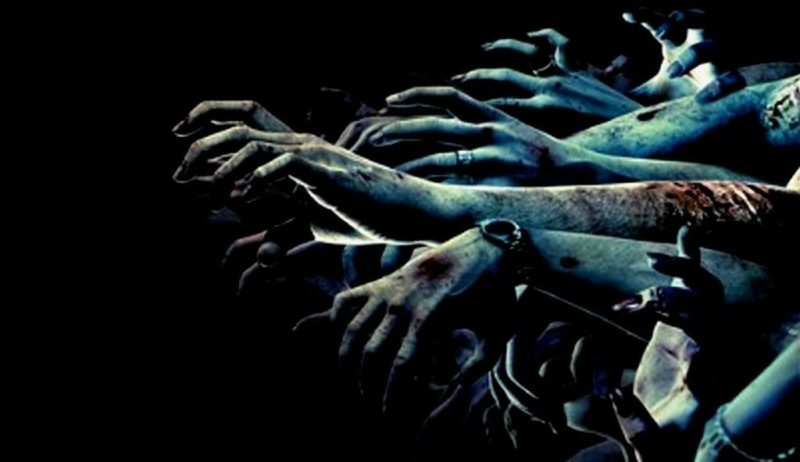 ReHorror: After REmake 2, What’s Next For Resident Evil? While Capcom’s focus will undoubtedly be Resident Evil 2 Remake for the next several months (with DLC already on the way), the gears are already turning on the next generation of Resident Evil games. With rumors of the PlayStation 5 and Xbox ‘Scarlett’ on the horizon, poised to be revealed sooner rather than later, the future of RE is probably already preparing for the leap to next-gen (especially as the new in-house RE Engine is looking better and better with each game). What could that mean for us as fans? What could those games be? I’ve collected every rumor, every tidbit, and every piece of speculation I can find and will give each a thorough rundown. Some are almost guaranteed, while others sound like fan-bait pipe dreams, but who knows. We’re entering a new era of CapGod status, and the sky may very well be the limit. Capcom has been coy as to how likely this project is, with teasing little comments tantalizing fans hopes and dreams; They’re acting as if it’s not in some level of production already. Capcom has been very upfront with how well they expect REmake 2 to sell, and the massive praise and high ship count (3 million units at the time of this writing) is backing that up nicely. REmake 3 is just as easy a shoo-in for massive success as REmake 2 is looking, given its legacy and standing with fans. Even more so, leaker DuskGolem (who’s had a pretty good track record of accurately leaking stuff) has talked about REmake 3 already being in production. While the original RE3 never achieved the “this changed horror gaming forever” status that its predecessor did, the lasting impact on not just RE fans but gamers as a whole is massive. The title creature, Nemesis, is known to practically everyone, and Jill’s blue tube top and black miniskirt combo are possibly as iconic as the classic teal tank top and tan short shorts of Lara Croft. While a remake would undoubtedly be put through the same level of redesign and overhaul as RE2, Nemesis’ presence alone would make for instant nostalgia. Capcom has tried over and over again to recapture that horrifying magic, with varying degrees of success – from the dull Ustanak in RE6 to the awesome but short-lived Jack Baker in RE7, right down to just dropping Nemesis into games for a boss fight or two a la Operation Raccoon City. All of that pales in comparison to the original experience. The idea of Nemmy being brought to life with modern game technology – not just graphics, but AI and scripting as well – is terrifying to picture. 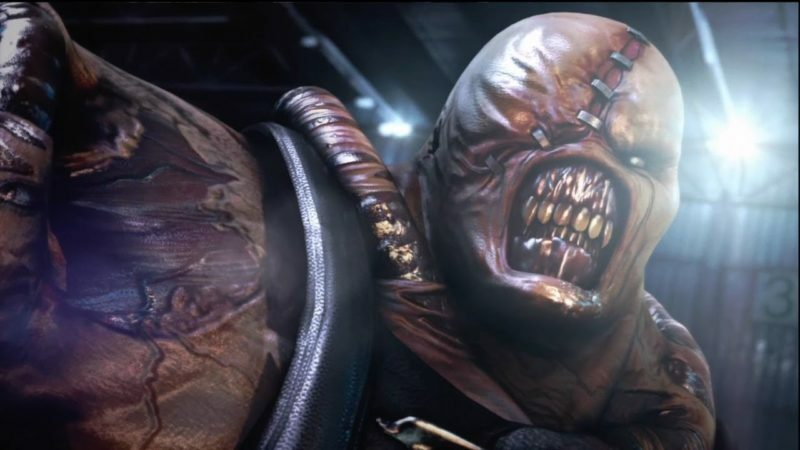 The original Nemesis was heavily scripted for most of RE3, and while his appearances could be terrifying on the first few playthroughs, you’d eventually start to memorize the instances where he shows up. Jack Baker’s unpredictable (albeit small) tour around the Baker Mansion in RE7 gives me tingles for what could be done now. A more open Raccoon City with a more unpredictable Nemesis stalking its streets (perhaps with some minor stealth mechanics) could make for some heart-racing scenarios. Turning Nemesis from an occasional jump scare and boss fight to a true cat-and-mouse game of survival sounds amazing. We’ve already gotten a tease as to how a remade Nemesis could work, thanks to the new and improved Mr. X. Even in lore, The T-103 Tyrant model (Mr. X’s official name) was a precursor to Nemesis in design and function. While Mr. X keeps at a slow but steady pace and can only really follow one directive, Nemesis can not only run but also strategize and execute surprise attacks. His ability to use weapons, which made him wholly unique in the Resident Evil universe up until RE4, adds another spin on this challenge. An advanced, “remade” version of those ideas is terrifying to contemplate considering Mr. X’s total overhaul. 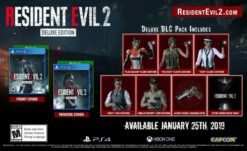 We haven’t even touched on changes that could be made to the story, as REmake 2 deviates from the plot of the original game significantly more than the original REmake before it, and REmake 3 would certainly follow suit. It is hard to say exactly what story changes would be made, but fleshing out the other surviving UBCS mercenaries and adding more survivors like Dario Rosso to really sell the tragedy of the city would be a good start. Focusing heavily on Jill and how the Raccoon City outbreak effects her would also be a great way to improve her as a character overall. While Leon and Claire had no real attachments to Racoon and didn’t know their way around, Jill lived there (possibly for years, as S.T.A.R.S. was founded in 1996) and would feel the full impact of watching the city die around her. She might even recognize some of the zombies you face. We’ve already seen Leon and Claire react to the world around them, cussing, commenting on their situation, and muttering as they traverse the ruins. Imagine Jill actively recognizing her fellow officers during her short stint in the RPD building, and being forced to put them down. As for how soon we’ll be getting our hands on REmake 3, it’s highly unlikely that REmake 3 isn’t already in some level of production at Capcom (there’s arguably even some hints towards it in REmake 2). How long ago they started changes how long we have left to wait. It is worth remembering that, as REmake 2 released near that game’s 21st anniversary, next January is RE3s. Could make for a great double punch, especially considering that REmake 3 very well could be made with many of the same assets and programming/design used in REmake 2. On top of which, getting it out before the next console generation is a great opportunity to have versions of all eight numbered Resident Evil games available on Xbox One and PS4. That could even make for a pretty badass box set, given the RE0, REmake, and 4-6 remasters all got physical releases. We sort of got that last generation with the PS3 Resident Evil 6 Anthology Edition, which included digital copies of RE1-5 as well as the disk for RE6 (although the Xbox version got shafted since there are no versions of RE1-3 there). Either way, I’d say there’s a 99.99% chance that REmake 3 is happening, and happening soon. Capcom has already been clear that it hinges on fan demand, but… come on. The demand has done been here. This has lead to some pretty wild speculation from fans. Conjecture went even crazier when Resident Evil series creator, Shinji Mikami, stated that he could be interested in directing the game if Capcom offered. Odds are he was a little late on the sentiment, coming months after Takeuchi had already talked about RE8‘s production, but that doesn’t mean that he might not end up involved with it (or another RE project) in the future somehow. Regardless, the rumor mill doth churn, and there are already “leaks” regarding what the game could be. One of the most prevalent right now comes from the Twitter account Evil VR, but a source we trust says that they’re blowing smoke (and has been from the day they started tweeting). For the moment, there’s simply no way of knowing what RE8 could be about. Each RE game has been a completely unpredictable surprise in terms of its story. Hell, even when we did get first looks at new numbered RE entries, most or even all of the fans’ predictions/observations turned out to be wrong. Remember when people thought Sherry Birkin was in RE5? Or that when we really did get Sherry Birkin in RE6, people thought it was Ashley Grahm for a bit? Or how about when Resident Evil: Revelations just straight up put out a trailer that had nothing whatsoever to do with the actual game that came out? Point being that even if we think we have a handle on what RE8 could be going for, it’ll be really hard to tell even when we get official information regarding it. We can kick around possibilities, though. For instance, who would we be playing as? I doubt that we’ll be hearing from Ethan again (perhaps ever) but that doesn’t mean that we couldn’t be getting another entirely new character. I somehow doubt that, though. While RE7 focused its core game on being an entry point for new players (disentangling itself from most of what complicated RE lore) it seems like it would be a prime chance to have a classic hero head up RE8. Of course, Chris Redfield’s appearance in RE7‘s Not A Hero DLC showcased how overpowered a series veteran would be in this more scaled-back horror focused take on the series, so who would fit that bill? Being able to both be a returning character while also not an overpowered super soldier fresh off of RE6‘s explosive adventures? There are a couple of options, but the one that stands out to me as a perfect choice is Jill Valentine, who has been MIA canonically since the 2009 events of Resident Evil 5. Jill was forced into mind-controlled servitude by series villain Albert Wesker for three years and finally rescued by Chris and Sheva in Africa. 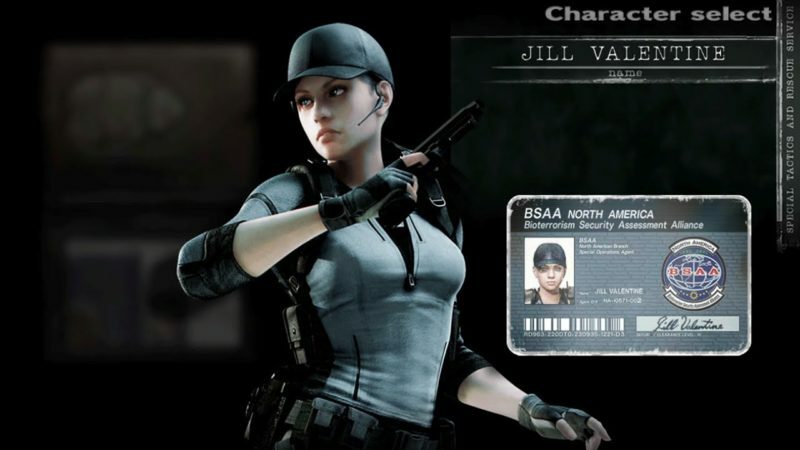 Jill has since been in a kind of mental and physical rehab by the BSAA, at least through 2012, as revealed by correspondence between her and Barry Burton in Revelations 2. An emotionally strained and out-of-practice Jill sounds like a prime candidate for the more grounded horror RE is doing these days, especially if there’s any chance of playing around with hallucinations like RE7 did. Visions of the horrible deeds Wesker forced her to commit while under his control, or even of previous RE tales (Nemesis anyone?) could make for some masterful psychological horror. It’d be a great way to work as a story (the fresh out of rehab Jill) and also create a nostalgia trip of horror, similar to the hallucinations and Ishimura section in Dead Space 2. This is all, of course, my own hopes and hypotheses on what I’d want. Who knows? Resident Evil 8 is most likely about four years away (based on the gap between numbered releases since RE4), and almost guaranteed to be a next-gen exclusive title. Of course, Capcom was building a whole new engine for RE7, designing the game to play in VR, and so on. On top of that, REmake 2 did release only two years after RE7 despite beginning production long after RE7 did. Maybe the gap will be shorter now that RE Engine is off the ground, not to mention that VR probably won’t factor into RE8. VR has been dropping off slowly but steadily and Sony’s wishy-washy commitment to PSVR indicates that the PS5 most likely won’t have a similar headset. Capcom’s own neglect for not releasing VR support for the PC version of RE7 long after the PlayStation exclusivity timed out feels telling as well. A lack of VR makes me wonder if sticking with first-person would be necessary. 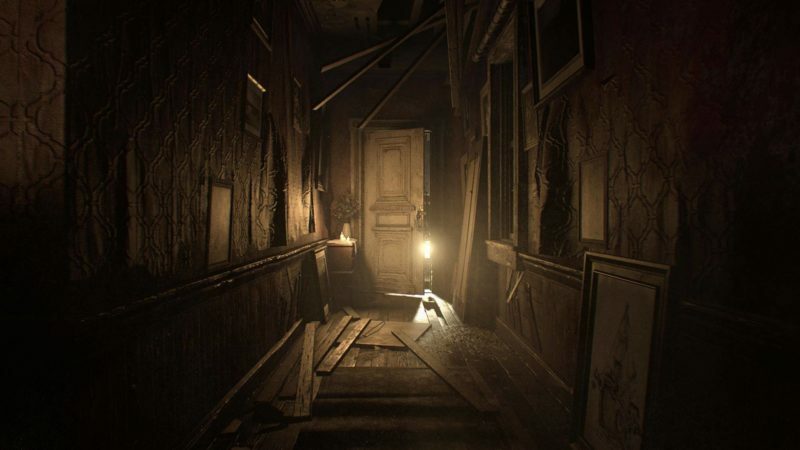 When RE7 released, it seemed to be a sure thing that we were entering a new era of first-person games, just as RE4 had ushered in the over-the-shoulder era, but perhaps not. It’s honestly so early that there’s just no way of knowing one way or another. Resident Evil 8 is for sure happening, and as long as Capcom as a company remains solvent, Resident Evil 9, 10, 11, and so forth are all happening, as well. 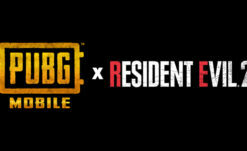 It’s only a matter of time before we have more concrete information as to what kind of game RE8 will be, and when we’ll be seeing it. Don’t expect it soon, or even this gen, though. What is Red Umbrella’s connection with the refounded Umbrella Co., if any – and what is their ultimate goal? Who are The Connections, the mysterious organization who created Eveline and worked with Wesker’s HCF unit at some point in the past? What’s up with Jake Wesker? Fightin’ monsters in the desert in exchange for Apples? We just gonna forget about him because his game was dumb? That’s just the major stuff, not even delving into things we’ll probably never have answers for, like whether Nicholi survived RE3 or not, or if Wesker ever made good on his promise to resurrect Steve Burnside. Of course, there’s a chance of a Revelations 3 ignoring all these possibilities and just making something up as the first Revelations did. Even that is assuming that this project is another Revelations game, as well. 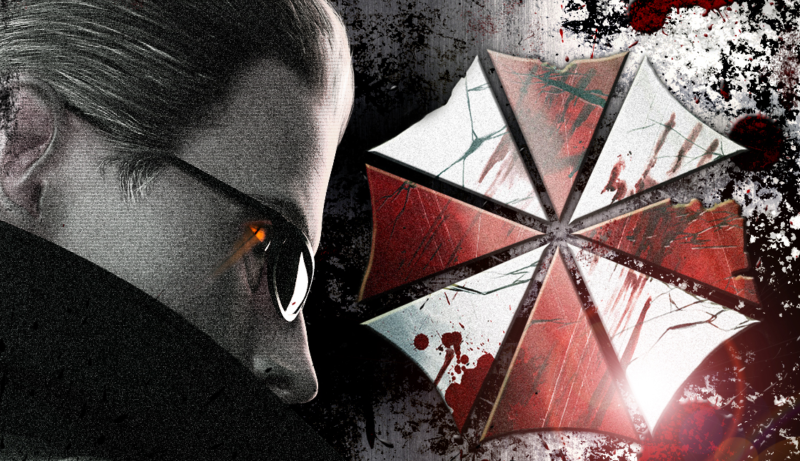 There’s a strong chance it could also be something entirely different, and maybe not even a Resident Evil game. While Anpo did mention his project while otherwise discussing Resident Evil, RE7 producer Jun Takeuchi recently talked about an unannounced project that will “make fans think wow, they’re working on that! ?” DuskGolem (the leaker we mentioned when talking about REmake 3) says that whatever that is, it is not a Resident Evil title. Are the two projects independent of each other, or are they the same game and the fact we heard about it from two different sources is what’s confusing us? Only time will tell. Suffice it to say, there will of course always be more Resident Evil on the horizon, but what this mystery project actually is probably won’t be known for a little while. I totally believe, however, that we’ll be hearing about it sooner rather than later and that the game will be in the same stop-gap period between numbered titles as games like Revelations and Chronicles were. Here’s hoping it remains horror, as I’m always down for more of that, but I also won’t condemn a spin-off RE title from trying to do something else (I’ve also always wanted a RE RTS game, as wild as that sounds). Feh, just remake ’em all. In all seriousness though, Capcom has had a great deal of success with their remastered games on this gen, and given comments from the company there are no plans of stopping. Just this generation alone we’ve seen remasters/ports of Resident Evil 0, REmake, 4, 5, 6, Revelations 1, Dead Rising 1, 2, and OTR, Killer 7, Okami, multiple Street Fighters, every DMC game, and Onimusha HD, as well as the Ace Attorney 1-3 remasters still inbound. That’s a lot of remasters and ports. Nothing new to Capcom really, but it shows a commitment to even trying to give weirder games a shot, like Killer 7 although they did not publish that remaster themselves. While games like RE3 seem obvious to me, there’s been a vocal outcry from fans for a Code: Veronica remake as well. I’d personally love to see another shot at it, despite it being one of my least favorite classic style games (although it is often a fan favorite). The Darkside Chronicles retelling was superb and gave previously… awful characters like Alfred Ashford and Steve Burnside a chance to not be… awful. It was als0 really highlighted the madness at the heart of Umbrella in a way none of the other games have. Fans seem to be pretty meh on the 2011 remaster of CVX (while it did add in a fantastic new dynamic lighting engine, the colors ended up muted and most textures were still very rough looking), which may be why that version has yet to be brought back, even to PC. If the RE2 and 3 remakes really soar, it could be a great way to close out that “trilogy” so to speak, with a full remake of what is arguably the linchpin that holds RE1-3 and RE4-6 together. Following up on REmake 2 could also be a great call, giving the new version of Claire more room to breathe rather than being a one and done deal before we move back to the modern, grumpy Claire from Revelations 2 and probably whatever she appears in next. Another fan favorite that players have been begging for a new lease on life in HD is Outbreak and its sequel. The two Outbreak games are, plain and simple, masterpieces that were way, way ahead of their time. They have sadly suffered from being abandoned on PS2 without access to the very necessary online features, however. While fans have patched together a way to play online with fan-made servers, it’s a difficult and complicated process that only nets you a handful of other players. An HD remaster of even just Outbreak 1 with the online features reintegrated would be a gift from the heavens. The games still look great if I’m being honest, and an HD polish that smoothed out the edges (literally) would be all it needed to bring them back on their feet visually. Of course, modern online gaming makes some features redundant (most notably the rather robust communication system in lieu of having chat headsets) and certain aspects like saving might have to be retooled, but even just releasing it as is with the online features would be amazing. If you’ve only played the Outbreak games in single player, you haven’t really played the Outbreak games at their best. There’s also the Nintendo Switch in the middle of all of this, which will undoubtedly become a portable Resident Evil machine by the time its life cycle is over. With both Revelations games already on the system and the Origins Collection and RE4 HD coming soon, it’s safe to say that more will be on the way after that. The Switch sadly just doesn’t have the power to run games like REmake 2, and probably any other major releases in RE‘s future (it does have a Japan-exclusive cloud version of RE7, but that is not running on the system natively). We can probably look forward to Resident Evil 5 and 6 popping over onto the system though, and if they eventually remaster Outbreak 1 and 2, probably those as well. Of course, there are lots of other oddball RE games, but I doubt many are on any shortlists for remastering/remaking. The awful Survivor and even worse Dead Aim (with its uncomfortable transphobia) come to mind, and there’s no point in revisiting Gaiden as the grand majority of its ideas (Leon becoming infected, Barry rescuing and adopting a young girl who might be infected, RE on a boat) have all been recycled into better games. I could see the two Chronicles games getting a second wind, perhaps on Switch with the gyro controls (fans have suggested PSVR, but trust me — those games would not hold up in VR). Operation Raccoon City actually sold pretty damn well despite terrible reviews, so maybe? It would need some serious work though, it looked bad even by last-gen standards. Capcom also made an off-hand comment on how remaking RE1 again wouldn’t be crazy, but uh… I dunno man. Talk about thankless. I could go for a new Mercenaries standalone game, though. The only real issue the 3DS game had was content. Release a new mega collection of all the Mercenaries modes and characters blended into one megapack, and I think people would be down for that. Something worth considering, outside of HD remasters of games that would actually benefit from “HDing,” is the recent “retro” craze. Plug and play consoles like the NES and SNES mini, as well as the PlayStation Mini (despite how crash and burn that was thanks to serious miscalculations of what people actually wanted), have shown a real frothing desire to have some of our favorite classics back, in a nostalgic way. I wouldn’t say it’s out of the question for Capcom to delve into something similar. We’ve already seen multiple classic games get re-released in collections, Mega Man Collection, Street Fighter 30th Anniversary Collection, as well as the Capcom Beat Em Up Bundle. Not much remastering really, just the games running and looking as best they can as they were. 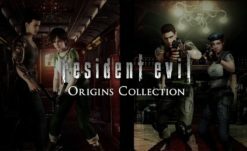 Resident Evil could very easily receive such a treatment, as with the many multiple versions of the original PS1 RE trilogy (RE 96, DC, RE Saturn, RE2, RE2 N64, etc) that all had their own unique content or changes, there are lots to fill up a collection. 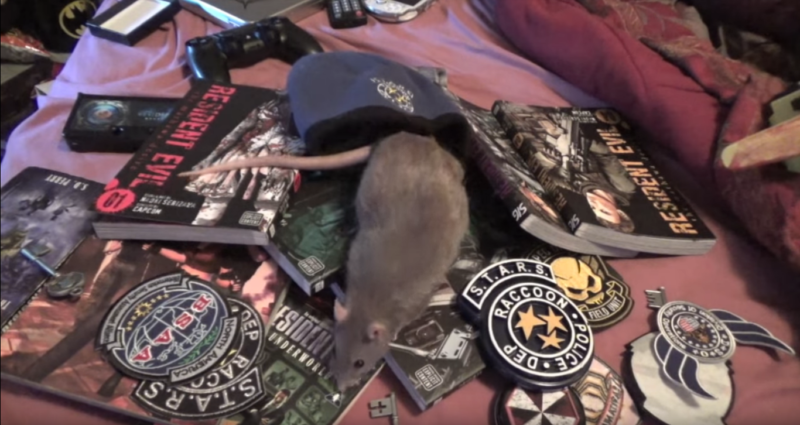 Pack in model viewers, making of content, art gallery, whatever they can – and a retro Resident Evil Classics Collection could potentially sell millions of copies. While there’s a ton to speculate on and hope for from games, RE is, of course, an extremely multi-media brand. Books, comics, movies, toys, and even multiple live stage shows, there are tons more probably coming in the future. We already know of a film reboot in the works of course, and apparently a Netflix series, but I can almost guarantee that the gap between RE7 and 8 will also see another animated feature from Capcom. The three we’ve gotten (Degeneration, Damnation, and Vendetta) have been a… rollercoaster of quality, but they’ve all done pretty well. The manga, on the other hand, has been of top quality, with The Marhawa Desire releasing just before RE6 (although not until long after in the states) and the still as-of-yet officially translated follow up Heavenly Island were tremendous. The fantastic artwork and storytelling by Naoki Serizawa made me instantly nostalgic for the classic zombie-infested days of RE (if you haven’t read them yet, I highly recommend you do so). Here’s hoping a third series is in the works, although RE has had comics and manga literally since the day the first game came out (with a pre-order bonus comic) so there’s more coming one way or another. More stage shows will probably be coming, as Capcom has fully committed to the idea (a new and rather great looking Ace Attorney show begins soon – although even that isn’t the first for that series either), and weird things like the RE VR music video probably aren’t exhausted either. Capcom seems willing to cross over just about anything with Monster Hunter World as well, so don’t be surprised to see RE heroes showing up to join the hunt. We recently got RE costumes added into Street Fighter 5, and there are rumors of another Marvel vs. Capcom game (or a massive update to MvCI) that could potentially add more RE characters in as well (MvC2 Jill and UMvC3 Wesker are two of the best fighters in the entire series – and we already know how I feel about newcomers from RE joining the fight). The sky is the limit outside of the actual RE games for more content, and my (Resident Evil 20th Anniversary – yes this is what I actually use) wallet will forever be empty for it. That about covers it for now, but the future of RE is looking brighter than ever at the moment. There’s every chance for all sorts of things we can’t even begin to guess in production right now. Games have taken us by surprise before, like Umbrella Corps., The Mercenaries 3D, hell even RE6 kind of came out of nowhere (revealed on a random Thursday afternoon when promotional materials got sent out to GameStop early). With Sony not showing up to E3 2019, anything they’d have to show would be at Microsoft’s press event, which isn’t unheard of. We have a lot to be happy about right now as RE fans, both what we have at the moment and what there is to look forward to, and it’s fun to speculate anyway. Do any of you have anything you’re hopeful for? Remakes, remasters, new games? Anyone with me on a RE RTS? Three-way StarCraft style design between RPD, USS, and the monsters? Let us know in the comments. It’s a damn good time to be a survivor of horror, man.